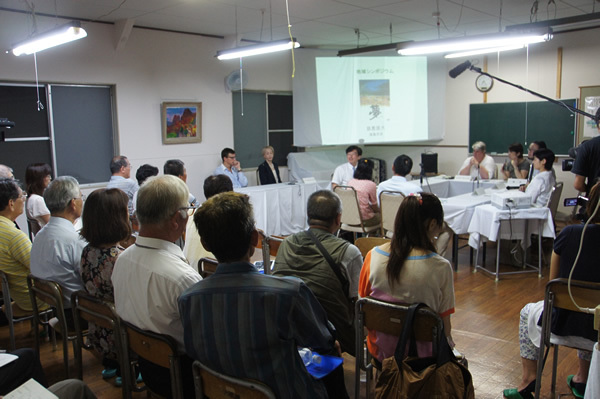 This report details a community symposium that convened on August 4, 2014 at the Ryozen Satoyama School in the Ryozen-machi district of Date City in Fukushima Prefecture. These activities can be traced back to my involvement in citizen meetings held in Tamura City, Fukushima, in the aftermath of the 2011 nuclear plant disaster. The activities in Date City, moreover, have enabled me to draw from my experiences up to that point in time. The Date City government has conducted field surveys of external radiation exposure based on the use of personal dosimeters as well as internal exposure based on tests for radiation in food products and the use of whole-body counters. Efforts to utilize the data from these measurements to help answer citizens’ questions appear to have won wide public acceptance (see the Date Public Relations Magazine, “Disaster Countermeasures” Edition, No. 70, p. 3 [in Japanese only]). The radiation lectures for the community, however, were implemented not at the initiative of the municipal government itself, but rather as an outcome of increasingly widespread word-of-mouth resident requests placed with the municipal government. Photo 1: Community symposium on thyroid cancer screenings led by the author in Date City, Fukushima. However, one issue that our activities effectively highlighted was the thyroid cancer screenings included in the Fukushima Health Management Survey performed by the prefectural government. Many parents and guardians have continued to voice anxieties about thyroid ultrasound examination (see the Briefings on Thyroid Screening by the Fukushima Global Medical Science Center’s Radiation Medical Science Center for the Fukushima Health Management Survey [in Japanese only]). One conceivable reason is that many citizens undergo these screenings without an accurate understanding of how they work and are surprised only after they receive their exam results. In other words, they presumably suffered anxiety about the screenings because they were neither aware of their importance nor able to understand the results. The confusion at the start of the thyroid ultrasound examinations was considered to be attributable to the insensitive tone of the notices that reported the results to screened citizens. For example, notices that reported results of “A2” initially contained only the explanation that a small nodule (lump) or cyst (like a liquid-filled sac) had been detected but a confirmatory test would not be needed. Their reverse sides contained nothing more than a brief definition of “A2” as the classification for detection of a nodule of up to 5 mm or cyst of up to 20 mm in diameter with the explanation that a secondary examination would be required only if a larger mass were detected. The notices did not even state whether the detected mass was a nodule or cyst. Although these notices later underwent sweeping revisions and improvements, citizens in Fukushima Prefecture still appear to have their doubts. To cite one example, data gathered by the 15th Prefectural Oversight Committee Meeting for Fukushima Health Management Survey (held on May 19, 2014) citing that 51 patients had undergone cancer removal surgery led many to conclude that Fukushima’s citizens are being exposed to radiation and that this exposure has led to thyroid cancer. Although prefectural officials have explained that the purpose of preliminary study is to establish a baseline for the incidence of thyroid cancer, the credibility of that explanation has arguably been placed into question. A baseline in this context involves the collection of fundamental data for use in the study of long-range trends (see the Radiation Medical Science Center’s explanation of the difference between preliminary and full-scale examinations http://fukushima-mimamori.jp/thyroid-examination/media/pdf_chirasi_kojosen.pdf　[in Japanese only]). Another issue is that discussions by the above-cited Oversight Committee were unable to reach a consensus on whether the prefectural authorities had clearly defined the importance of these studies or the approaches to follow-up care that should be given to patients diagnosed with cancer. This fostered the impression that the Committee could end up aggravating the sense of uncertainty felt by Fukushima’s citizens. The findings of the Oversight Committee prompted the Fukushima Minyu Shimbun (a local newspaper) to run an article in its July 23, 2014 edition citing the potential for overdiagnosis as a result of thyroid cancer screening, thus once again highlighting the difficulties associated with thyroid screenings. This has evolved into an extremely thorny issue. The controversy with regard to overdiagnosis has drawn attention to the disadvantages of undergoing examinations. It is only natural to want to minimize the detrimental effects of thyroid cancer that may have been caused by exposure to radiation from a nuclear accident. From that perspective, assertions that undermine the value of thyroid examinations could conceivably meet with strong resistance and incite broader suspicions about their own basis. Considering the fact that preliminary studies are complete-count surveys, it seems natural to view them as undertakings committed to detecting the effects of radiation exposure as early as possible. Although the success shown in identifying cases of cancer thus far has been explained as one of the benefits of screening, that point has not been a persuasive influence on the prefecture’s citizens. On February 4, 2013—over a year back—my concerns about these chaotic circumstances prompted me to publish a notice on the risks associated with thyroid cancer screening on the website of the Association for the Future of Tamura & Its Children (AFTC) (see the Notice Concerning the Risks Associated with Thyroid Cancer Screening [in Japanese only]). In the interim, I learned that Professor Geraldine Thomas, director of the Chernobyl Tissue Bank, would be visiting Fukushima Prefecture. I was asked if I could create a forum that would enable Prof. Thomas to make contributions to the citizens of Fukushima Prefecture. We thus decided to have her participate in a symposium that would address head-on the difficult issues surrounding thyroid screenings. The prime objective was to address the concerns and anxieties of the prefecture’s citizens head-on and encourage a participatory search for solutions that transcended individual difference of opinion and perspective. Given that solutions to social problems are difficult to achieve through opposition and dissent alone, the symposium was aimed at aiding the efforts of Fukushima Medical University and the Citizens Healthcare Survey Division of Fukushima Prefecture’s Social Health & Welfare Department. Additionally, to expand and open the discussion to the public, we invited news media organizations to attend and have them harness their varied resources to disseminate information on this symposium to a broader public audience. We decided to hold the symposium not in an urban zone but rather in a mountainous district that was less convenient in terms of transportation access. The Ryozen Satoyama School, an institution that operated in a former junior high school building in the Ryozen-machi district of Date City was chosen as the venue. This heightened our expectations that we would be better able to obtain more views and opinions from residents in mountainous communities. The Ryozen Satoyama School had been engaged for some time in recreational activities and other efforts aimed at countering the effects of radiation exposure. We also aimed to ensure a diversity of views and opinions. In addition, though, this was a unique selection of venue with a location, facilities, and background surroundings that had photogenic appeal and accordingly supported our hopes for coverage by a broader range of media organizations. These factors prompted us to name this event the “Community Symposium”. Members of the local community held homegrown welcome ceremonies prior to and after the symposium, thus transforming the occasion as a whole into a festive event that extended beyond the symposium itself. The symposium had seven panelists, as follows. 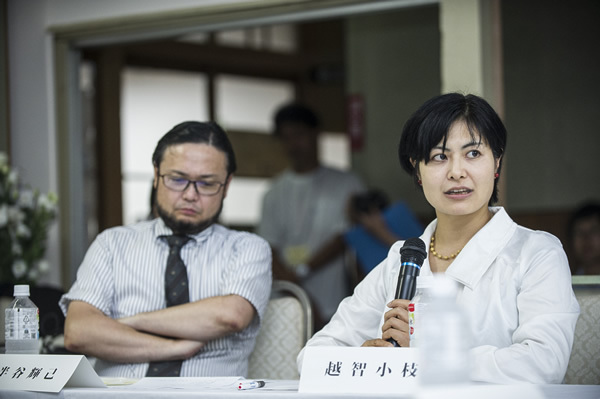 In the interest of contributing to the discussions of the Prefectural Oversight Committee for Fukushima Health Management Survey, the two specialist panelists selected were physicians with training in public health. By coincidence, both had attended the Imperial College of London, the institution with which Professor Thomas was affiliated, and were accordingly able to reach mutual understanding with minimal modulation of any differences. 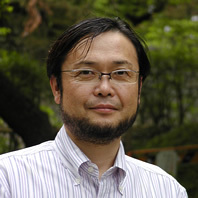 Dr. Urashima is a pediatrician who also served as a radiation advisor to Koori Town, adjacent to Date City. Because he is accordingly skilled in providing readily understandable explanations, we asked that he provide commentary on general matters related to thyroid cancer. Dr. Ochi is a physician with training in the field of disaster public health. We thus asked that she share her views as a specialist engaged in the provision of health care at the community level. As community mediator, I joined in a preliminary meeting with the specialists for intensive discussions that lasted over six hours. Participation by Lady Barbara Judge as a panelist was recognized as a visit by a world-renowned figure to the Ryozen Satoyama School in Ryozen-machi, a district located in the mountainous reaches of the Date City. This was accepted by local residents as an extremely friendly gesture and contributed to the symposium’s international flavor. Ultimately, the symposium would be led by a team of three male and three female panelists. I strongly urged a local couple to participate as panelists representing the community, and they accepted. The reason I asked them was that in the preliminary interview, I had noticed that the couple tended to differ in their views on many points including the pros and cons of thyroid screenings and the timing for cancer surgery, and wanted to put value on their differences of opinion. As a community mediator, I held a preliminary 30-minute meeting with the couple and pledged that they would be allowed to speak freely during the symposium. As community mediator, I sought to bridge communication gaps between the panelists and the audience on the floor and create an atmosphere conducive to dialogue when the symposium got under way. I therefore assumed the task of having specialized terminology and comments in the Fukushima dialect translated and sought to ensure a diversity of views with a floor vote system using blue and red cards. To ensure that the symposium did not conclude with a unilateral presentation of the issues by the specialists on the panel, I sought to have the panelists make points that would serve to move the discussions forward and present two or three issues for discussion with attention to views from the floor. Photo 2: Hangai with Dr. Ochi (right) addressing the symposium.